El Clasico is never easy, especially when you are playing your first ever one. 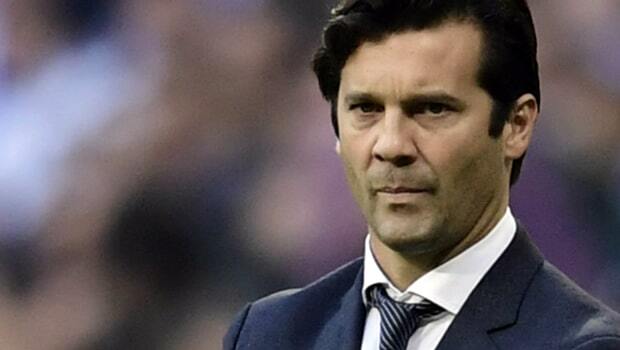 However, Santiago Solari did a great job in his first Clasico and has shown he can succeed at Real Madrid. How so? Even though Barcelona forward Malcom scored an equalizer in Wednesday’s Copa Del Rey clash at Camp Nou, it was obvious that the visitors have started an incredible resurgence. Undoubtedly, Madrid showed us how much progress they have made under Santiago Solari in the Clasico. In the last clash between Barcelona and Real in October, Real came to Camp Nou and were given a comprehensive demolition by Barcelona, who was without talisman, Lionel Messi. The game ended with Barcelona romping to a 5-1 victory, and that loss led to Julen Lopetegui being sacked as Madrid boss. After that, Santiago Solari was called in, and since then, Madrid has made slow but steady progress. After all the chaos early this season, they now appear to be in calm and confident. Former Madrid coach and legend, Zinedine Zidane might be remembered as the greatest Real Madrid coach, because of his three consecutive European cups. Before that, he inherited a Real Madrid team that was in turmoil after Benitez was sacked. Zidane was able to steady the ship, and it seems Solari is now doing likewise now. Santiago Solari’s achievement so far has been because he was not afraid to make crucial decisions that other first time coaches would shy away from. The Argentine coach has established Vinicius Junior as a first team regular, a player Lopetegui never really gave any chance. Now the teenage Brazilian winger has had an explosive impact which has helped to reignite Madrid’s season. Just like he did in the Clasico, Vinicius Junior was constantly a threat to the Barcelona defence, and it was his cross to Karim Benzema that led to the first goal. Solari’s attacking triad is made of Vazquez, Karim Benzema and Vinicius. This is a balanced front three with experience and youth. Gareth Bale no longer holds a place up front. It is left to see if Santiago Solari can become as great as Zidane, but if there’s one thing that is clear, he has what it takes to succeed at Real Madrid.